We recently launched our new Activity Stream. What began as a small idea turned into quite the large engineering undertaking. The results are astonishing, but it was a lot of hard work. In this part we’ll share how the design took shape. 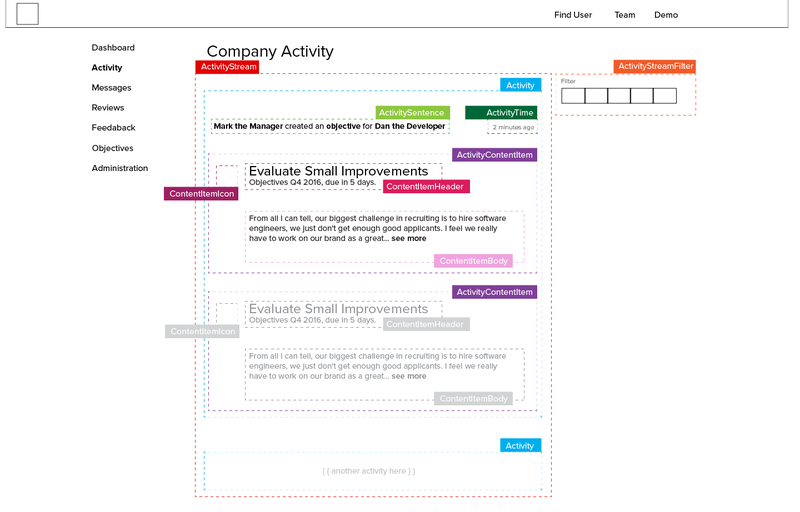 Lots of future problems can be avoided by coming up with good quality wireframes. So after the paper scribbles were done, we went to paint proper wireframes. Here are two examples of how we described the overall architecture of the activity stream, then followed by an actual sample wireframe. We don’t take wireframes too seriously of course. 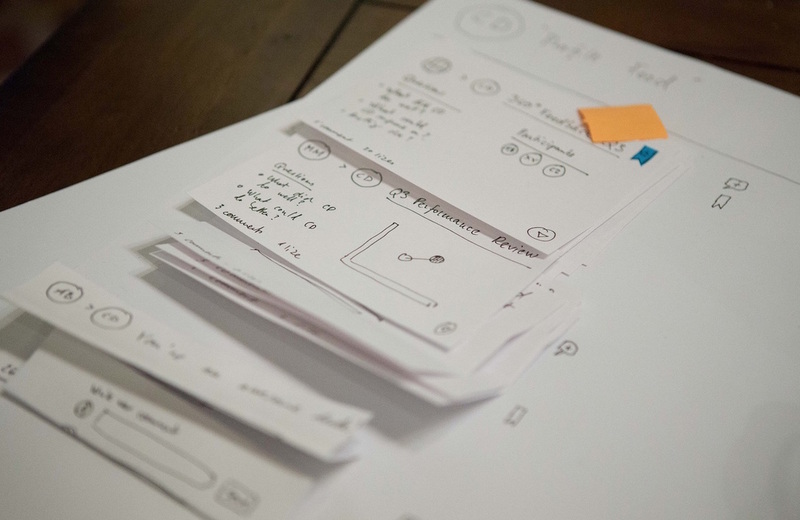 Wireframes are a plan, not a committment to the future product, and everything is still up for change. Also, quite often the real challenge lies in the user flow, not just in screen design. Some flows can be simulated at the whiteboard or by moving paper pieces around, but we typically move to InVision quickly. Using a web-based tool allows us to create actual clickable prototypes, and get insight from other (possibly remote) staff easily. A high fidelity image can raise unrealistic expectations (“oh look we’re almost done”) or draw attention to the wrong details (“why are there 20px margin, shouldn’t it be 30px?”). 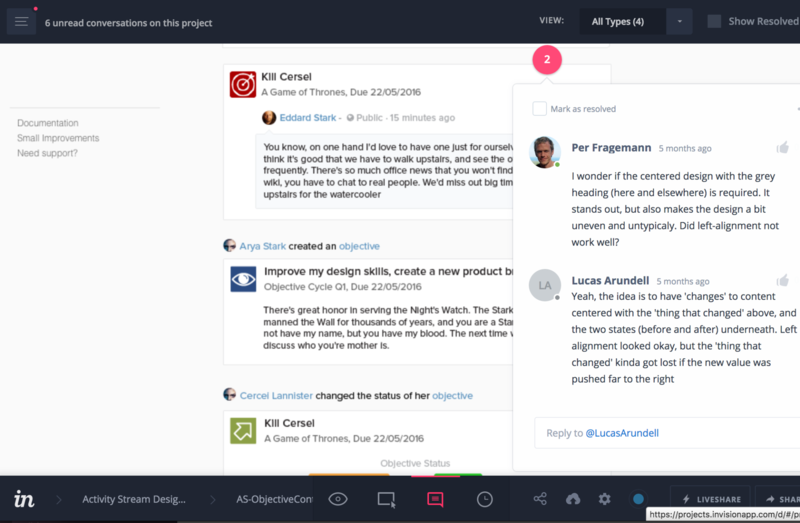 But on the other hand, the more realistic our mockups look like, the more and better feedback we get from outside the core team. It’s not about pixel perfection at this stage, everything can still get adjusted. But it is about making things feel “real” sooner than later, so that staff feel encouraged to give feedback about the flows, and so that early access customers feel they are actually commenting on something we are serious about. So we quite like our high fidelity mockups! We prefer to not write lots of “real” code before there has been some agreement on the flows between screens. Yes we’re agile, and yes we can make changes down the track. But starting to code user flows without first sketching them has failed us too often. So once we start coding the frontend, we have a somewhat good grasp of a feature, and this makes coding quicker, and styling is also more fun when you don’t have to fear everything changes totally next week. As designers we love to get down and dirty at the UI level too. But it’s not scaleable to be positioning every button ourselves. We invest time teaching design principles to frontend developers, and make everyone follows our living style guide, so we can focus on the advanced stuff, not on placing basic buttons. 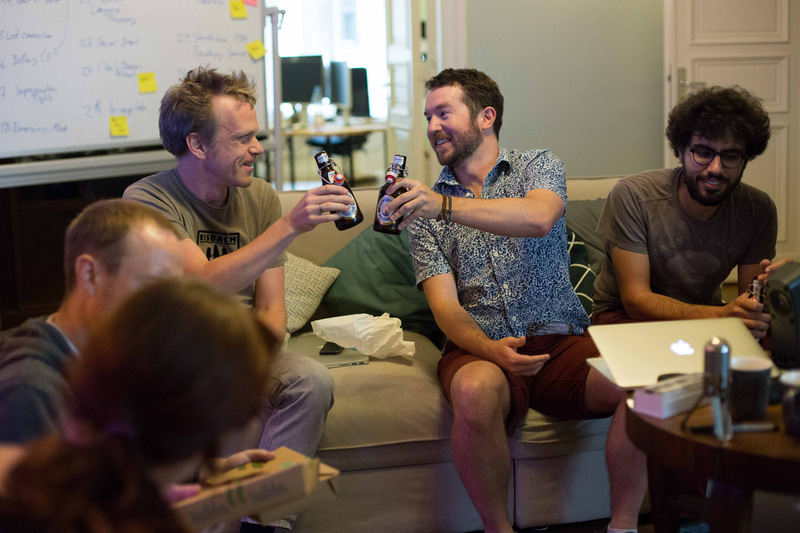 Once a feature has been developed to alpha stage, it’s time for user testing. We aim for conducting some some 5 to 10 “successful” user tests for larger features or changes. 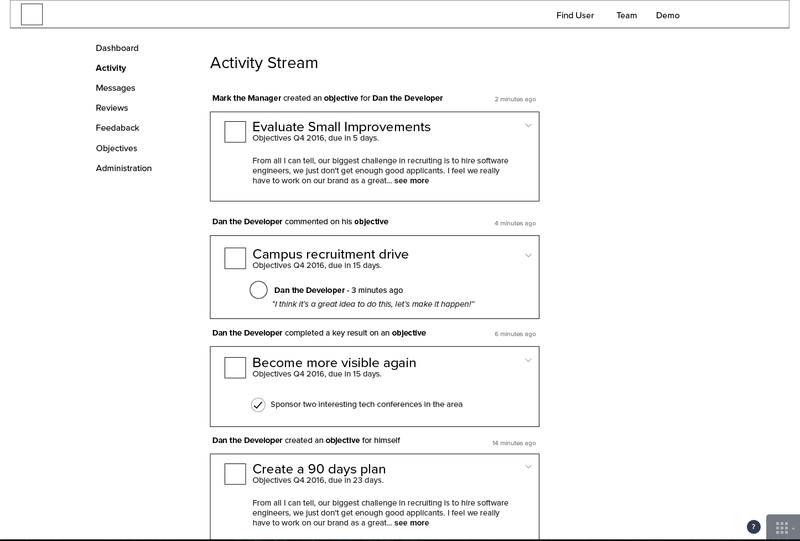 If user tests show there are major problems in our designs, then we reset the counter, keep adjusting the design, and schedule further user tests. When the tests confirm that a feature works, it is time for the polishing phase, and we’ll gradually enable features to our beta program customers. After another round of feedback, answering questions and polishing, it’s time for a wider rollout to clients who didn’t sign up for the beta. Now proper documentation needs to be written, blogged, and announced in-app using Intercom or home-made hints. And then it’s time to roll out for real and celebrate!